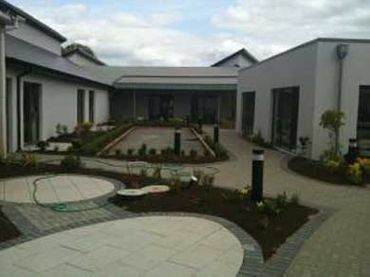 Lawson House Nursing Home is beautifully situated in the peaceful location of Knockrathkyle, surrounded by picturesque scenery with a view of the Blackstairs Mountains to the West and Bree Hill to the south. From our sun lounge we have a large south facing patio. Our dining area is big and bright and overlooks the countryside. 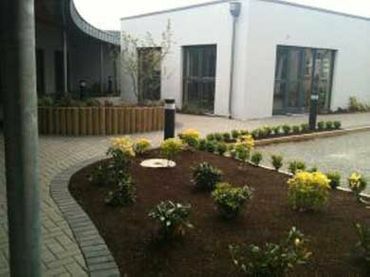 Lawson House Nursing Home is situated just 1km from the village of Glenbrien near Enniscorthy town and our qualified staff provide 24 hour nursing care. Our facilities represent a home away from home for the residents. We provide a number of services including long and short time care, respite care, convalescence care, long stay care, dementia care, care for Alzheimer’s, care for Physical & Sensory Disabilities and rehabilitation. Our facilities include private rooms, relaxation and recreation rooms. Our activity programmes include a hairdressers, aromatherapy, chiropodists, Library, movie nights, coffee mornings, music appreciation and daily mass. We have a very pro-active team of Activity Co-ordinators in house. We recognise the need to put the care and demands of the resident first at all times. Our carers are highly trained and provide fantastic care to our residents. 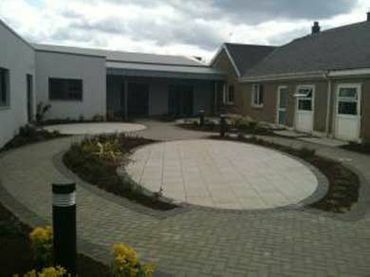 Contact us today to learn more about Lawson House Nursing Home and our facilities.